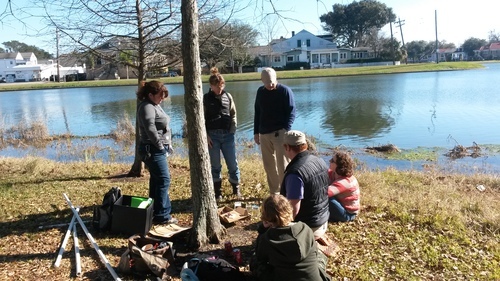 This past weekend the Public Lab Gulf Coast Chapter hosted a Water Quality Meet-Up. 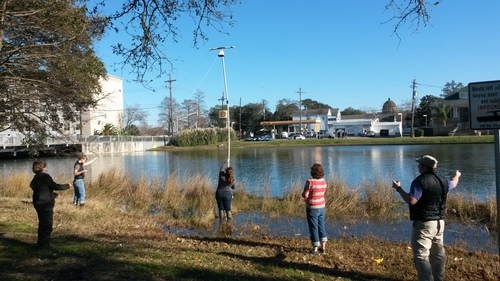 During this event we took a field trip out to Bayou St. John to collected some water samples, worked with the coqui and did some pole mapping. During previous pole mapping sessions at this site, we ran into difficulty with the pole being too short to stitch our images, and it breaking off! So this time we tried something a little different. 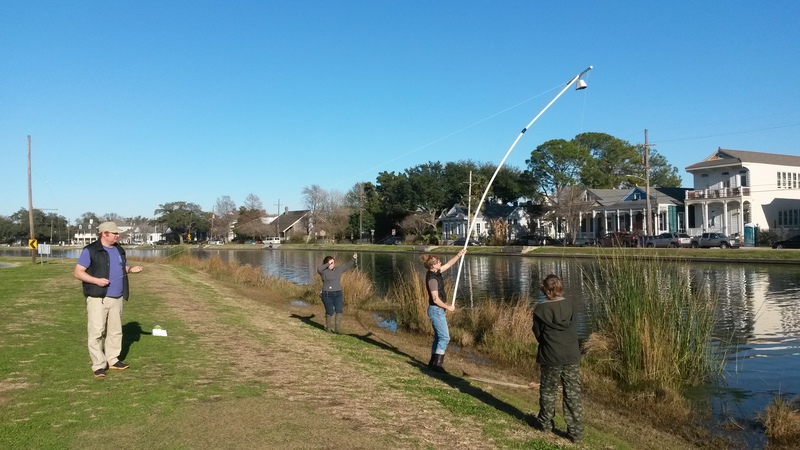 @eustatic and I had worked to create a longer pole with three tethers to hold it up and in place. With the eight of us mapping the site we were glad for the extra hands! It took four people to run the pole, and one to direct from a distance who should pull the tethers and when to move. 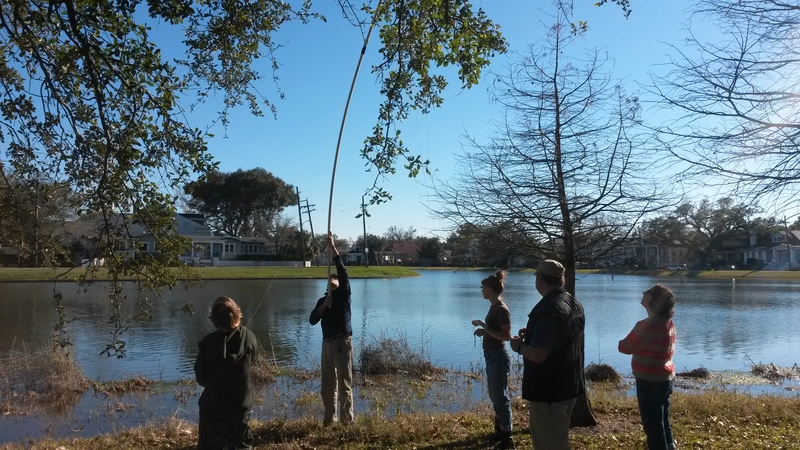 We also ran into tree problems for a moment, but found that by the time we got to the second site, the mapping became much easier. Practice!